Age 91, of Camden, passed away peacefully Sunday, September 23, 2018. She was born July 24, 1927 in College Corner, Ohio to the late Robert E. and Dorothy E. Beasley. In addition to her parents, Doris was preceded in death by her husband of 54 years, Harold; daughter, Ruth Ann; daughter and son-in-law, Sue and Albert Lunsford; granddaughter, Jolene; and sister, Roberta House. She is survived by her children, Dan Browning, Kathy (Charles) Baldwin, Amy Browning, and Mike (Kim) Browning; grandchildren, Julie, Jill (Greg), Jeff (Kenya), Jackie, Jeanne (John), Jason (Angie), Justin (Maureen), Laurie (Cyrus), Jessica (Bryon), Jamie (Jenna), Alena, and Christian; numerous great-grandchildren and great-great-grandchildren. Doris carried mail during WWII and later owned the Camden Nursery and Floral. 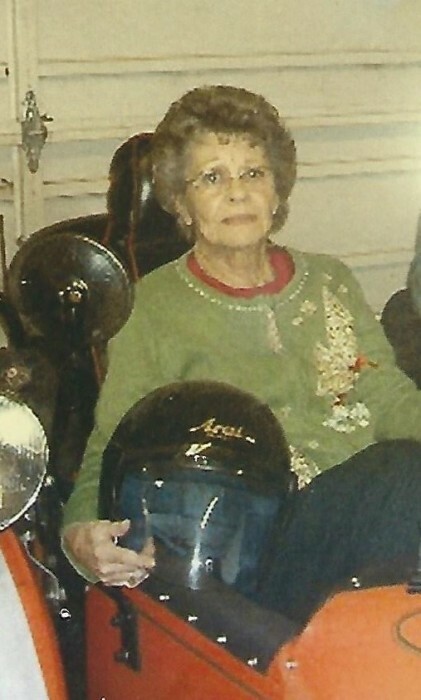 She was an avid doll collector and shopper, and loved her grandchildren and BMW motorcycles. The family will receive friends Wednesday, September 26 from 5-7PM at BALES’ FUNERAL HOME, Camden. The funeral service will begin at 10AM on Thursday, September 27. Burial will follow at Fairmount Cemetery, Camden.